#futurfund17 was a #finlit time! FuturFund’s 2017 Annual Financial Literacy Conference was a great success! 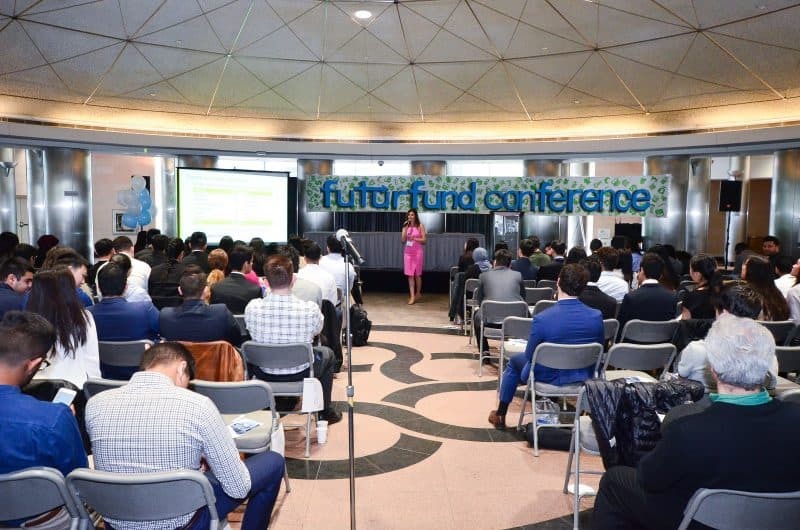 In one short year, FuturFund managed to organize the largest financial literacy conference in Ontario. On May 13, 2017, a diverse range of 200 delegates from over 60 high school and university across Ontario packed the Rotunda at Metro Hall early in the morning and readily engaged themselves in a day of workshops, keynotes, career panels, and finally, a fast-paced and exciting decision-making competition. Many #finlit experiences were shared throughout the day: we heard about Andrew Graham’s journey with Borrowell, Alfred Yang’s fascination with personal tax hacks, and the fintech revolution as a whole, with Wealthsimple leading the charge towards investing innovation through Robo-Advisors. As a result, delegates experienced a jam-packed day focused around financial knowledge, personal stories, and new relationships being built. In the afternoon, these delegates separated themselves in teams and went head-to-head against each other in a decision-making competition with their newfound knowledge; though only three teams won a grand sum of $1,000, a big congratulations should be given to all participants of the challenge! A huge thanks to our distinguished judges, panelists, and sponsors; Sun Life Global Investments, CPA, Financial Consumer Agency of Canada, Borrowell, Wealthsimple, and more. We certainly wouldn’t have accomplished this without your support! But more importantly, a big shoutout to all the event attendees and participants: we hope you enjoyed the conference, and were able to take away some precious #finlit knowledge!